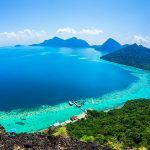 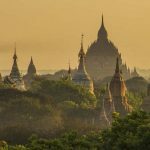 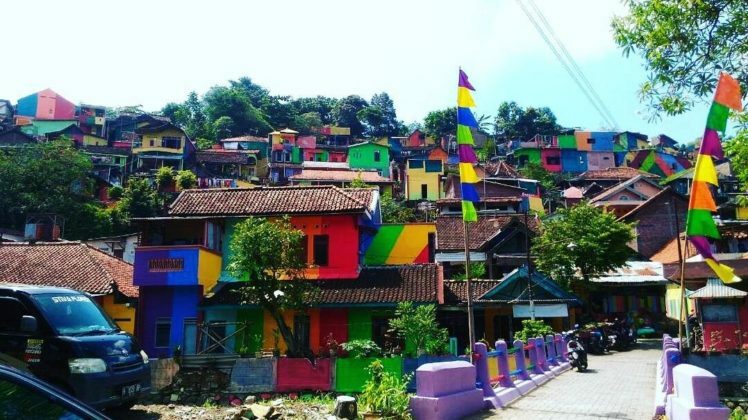 Visit Kampung Pelangi — A beautiful “Rainbow Village” of Indonesia - Living + Nomads – Travel tips, Guides, News & Information! 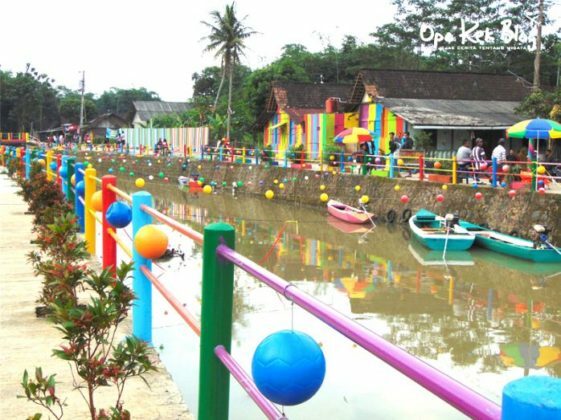 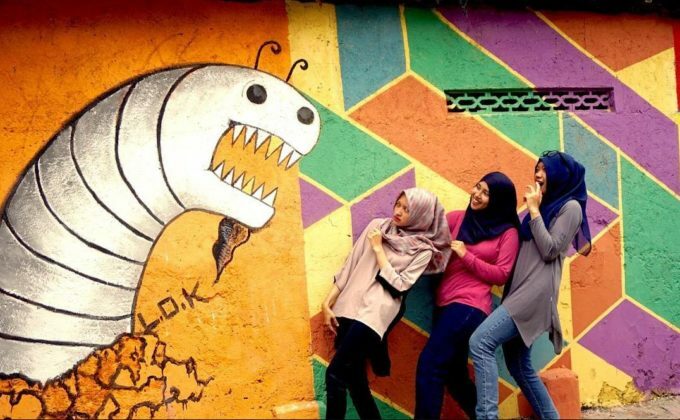 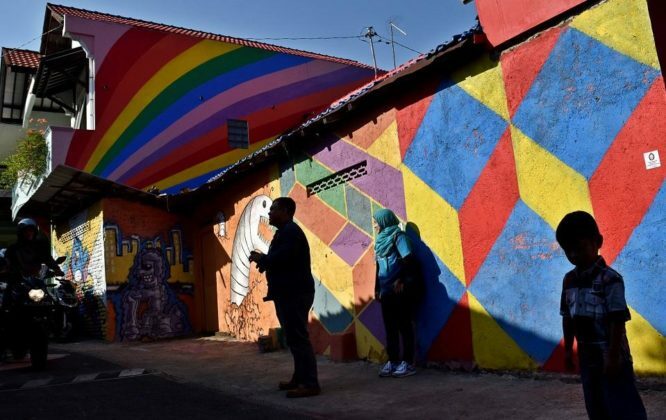 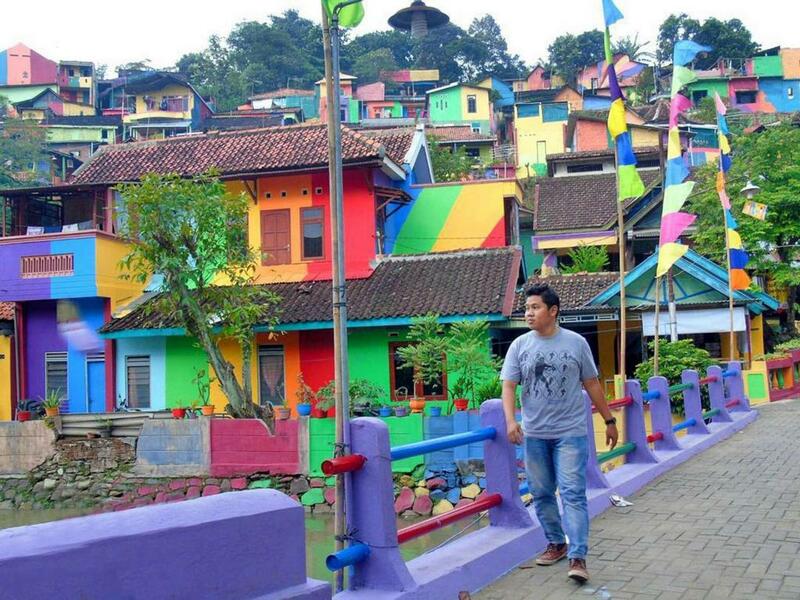 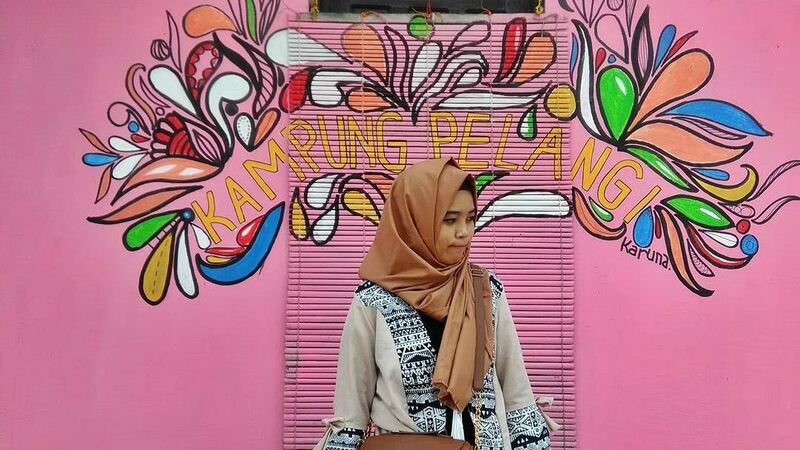 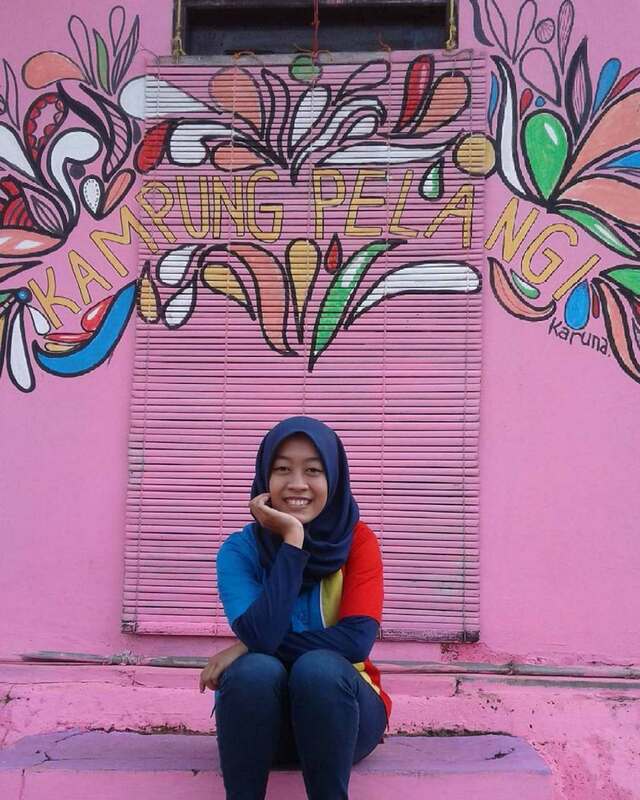 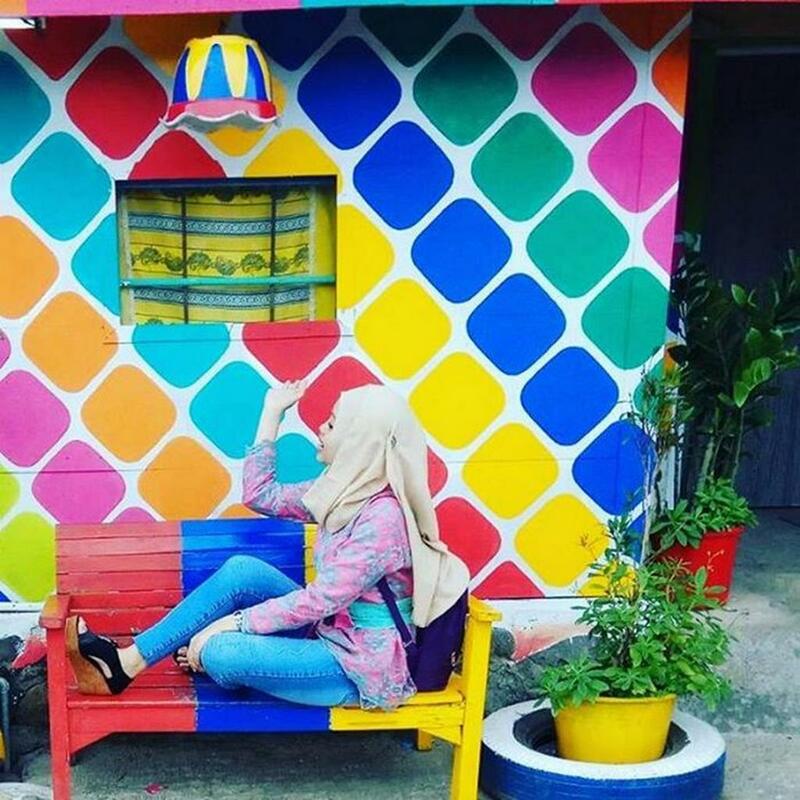 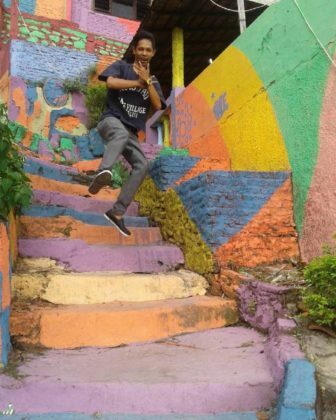 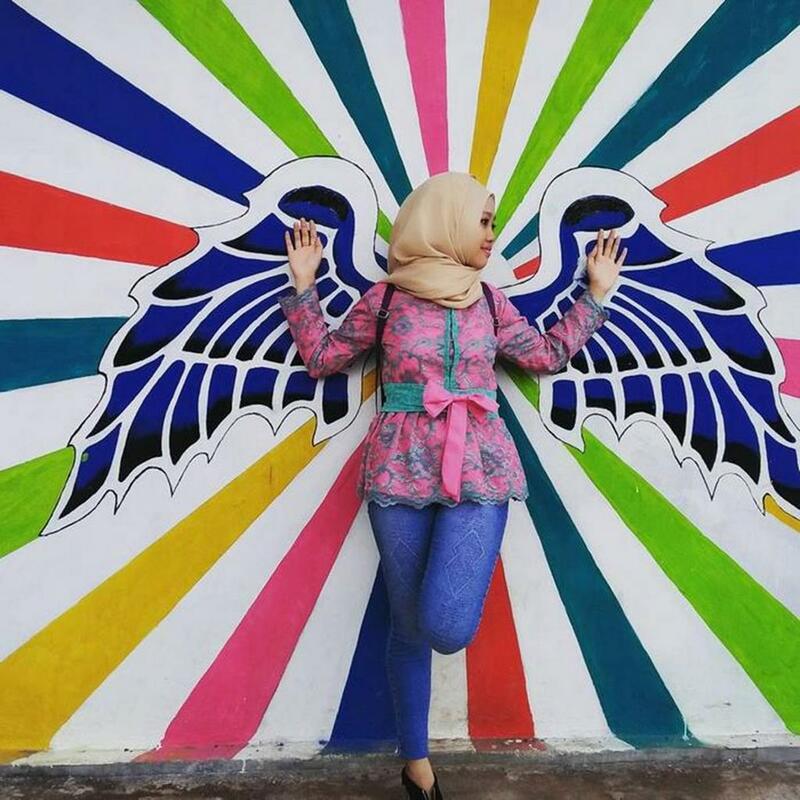 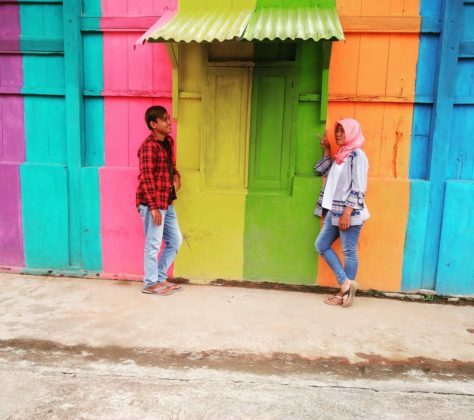 Kampung Pelangi is a small village which becomes a colorful place with a 22 thousand dollars investment project, is attracting visitors all over the place to come and take photos. 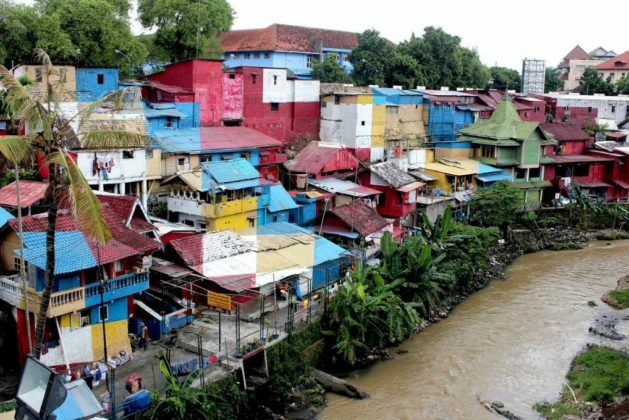 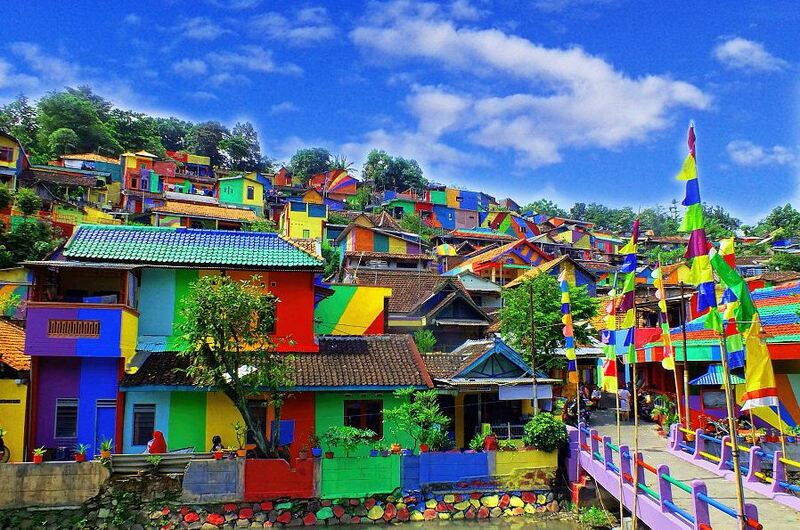 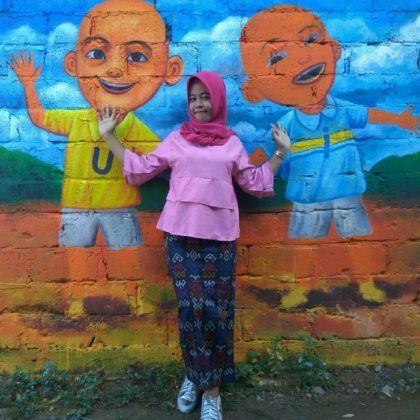 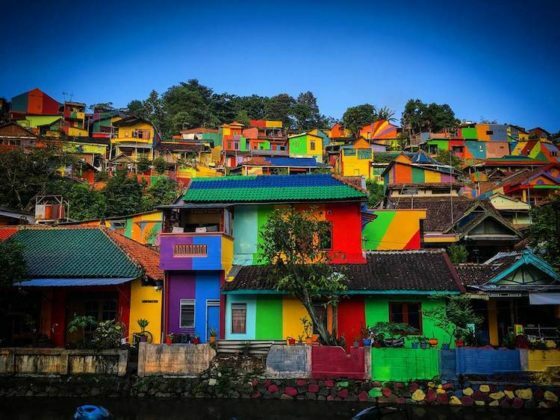 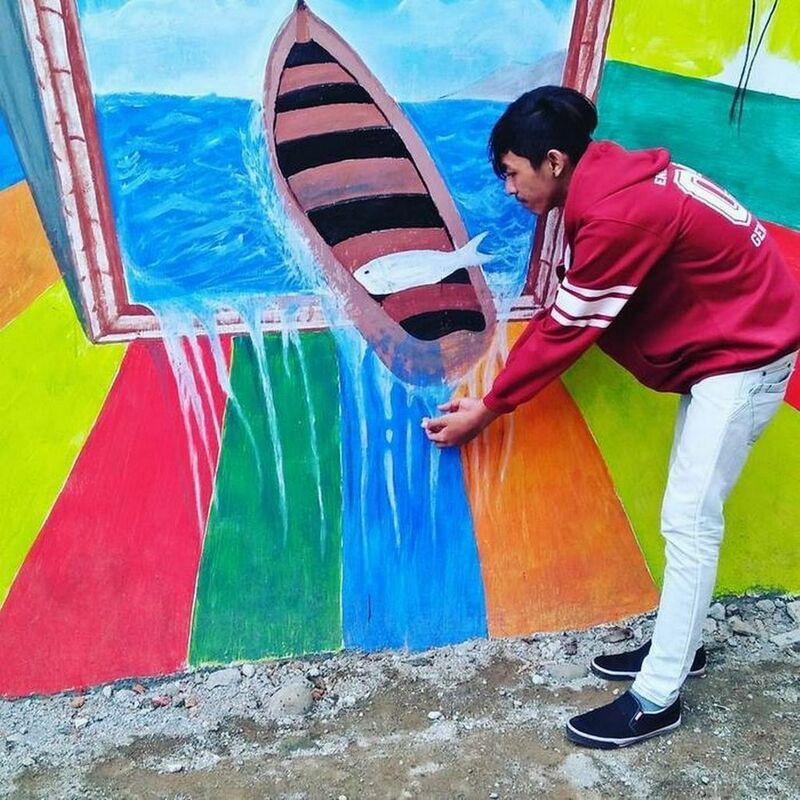 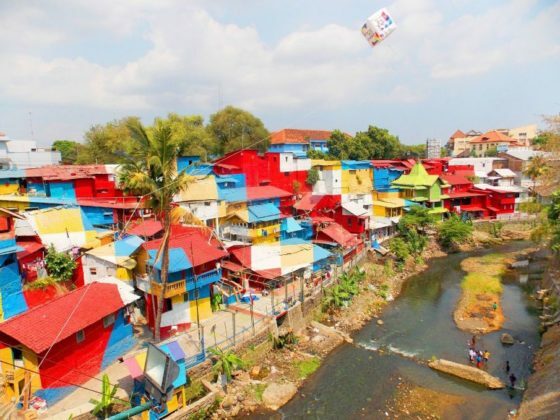 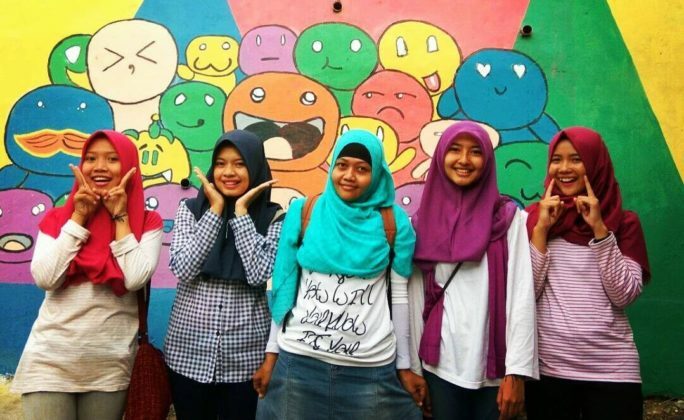 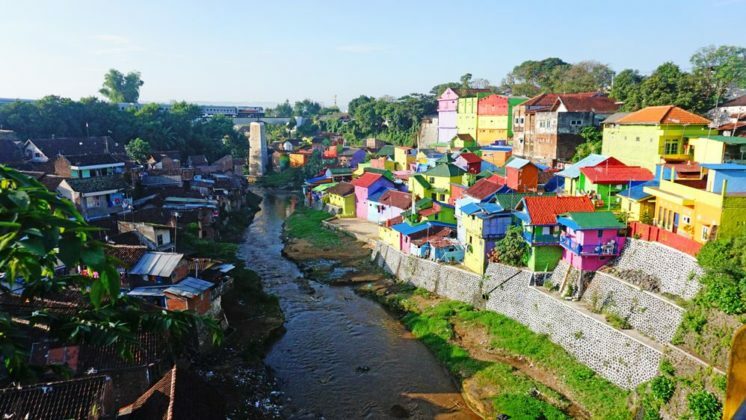 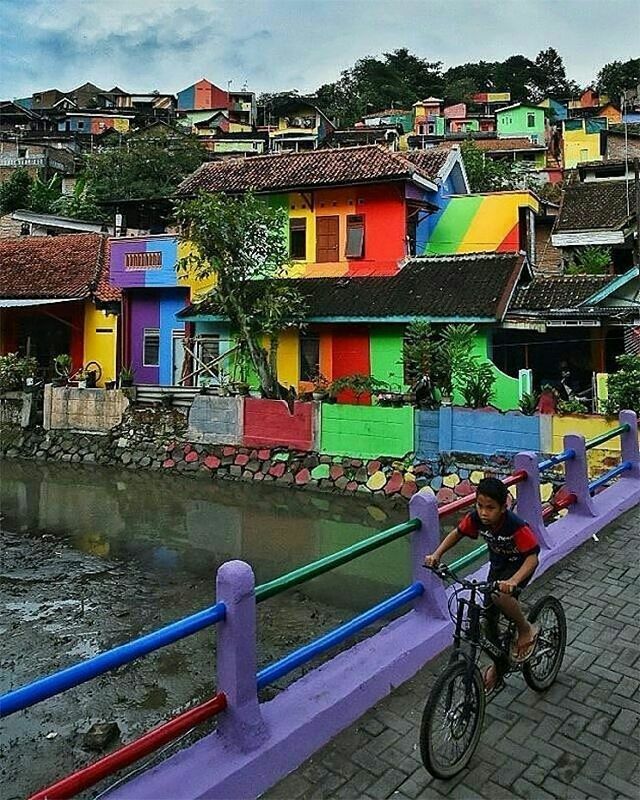 The Central Java Community Center, located in the Southern of Semarang, the fifth largest city in Java, Indonesia spent 22.467 dollars in decorating Kampung Pelangi again and demolishing the name “slums” under Boredpanda on May 15. 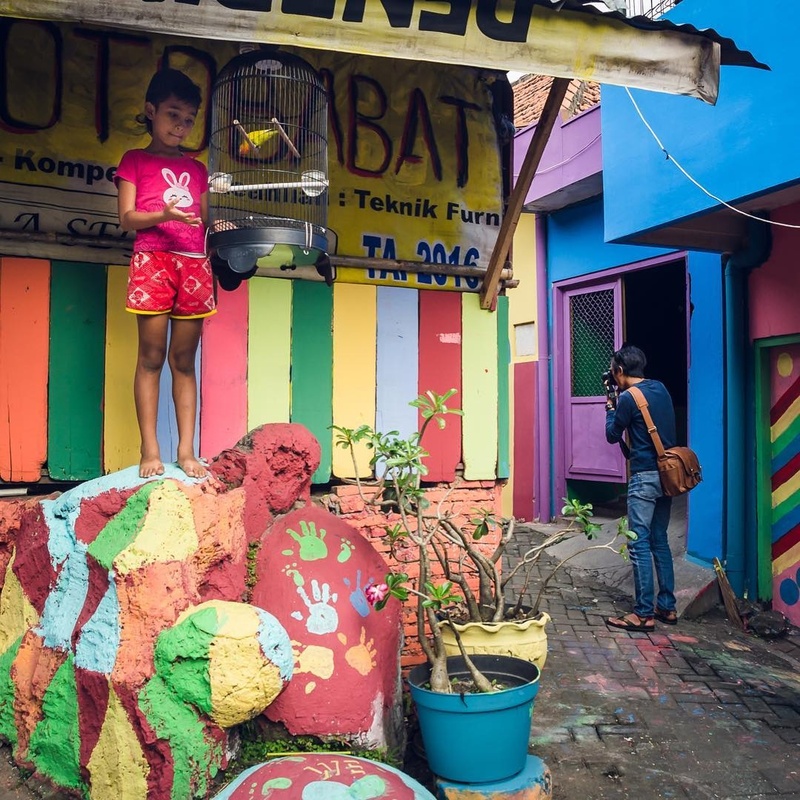 The promoter of the project was Slamet Widodo, a principal of a local high school. 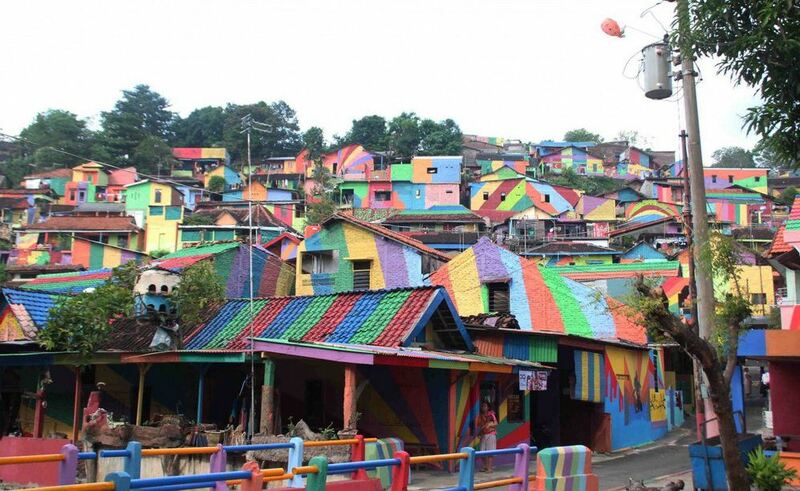 He said the project’s fury get from three similar villages in Indonesia, was also make beautiful by artworks. 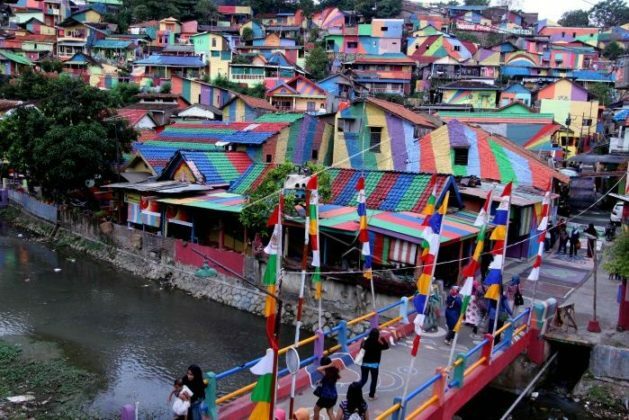 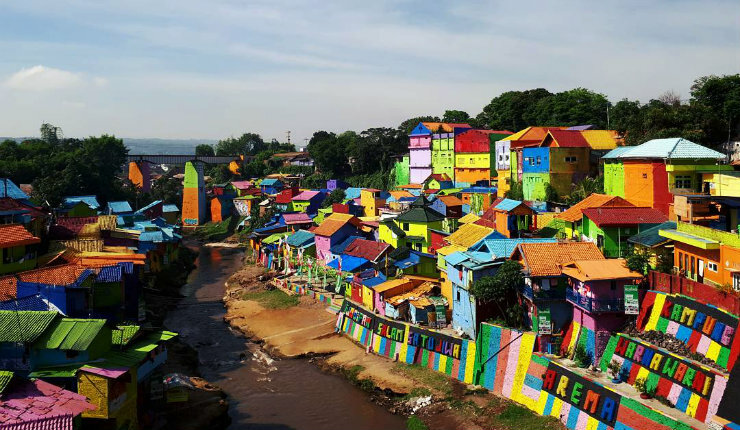 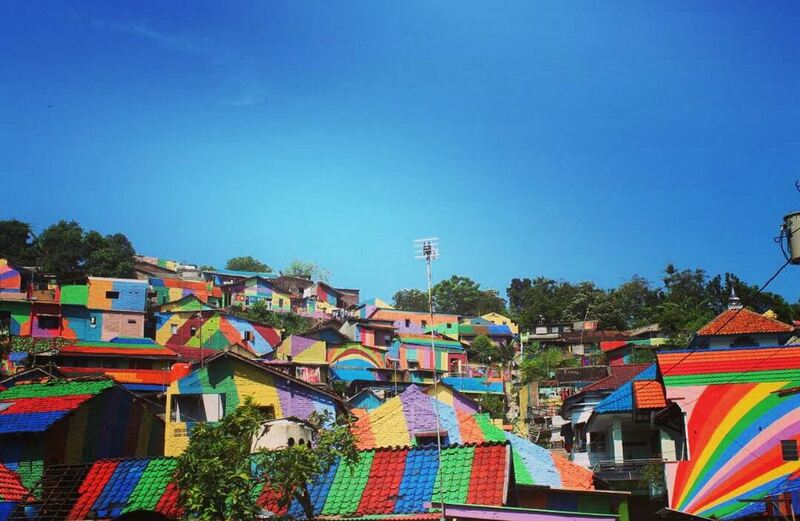 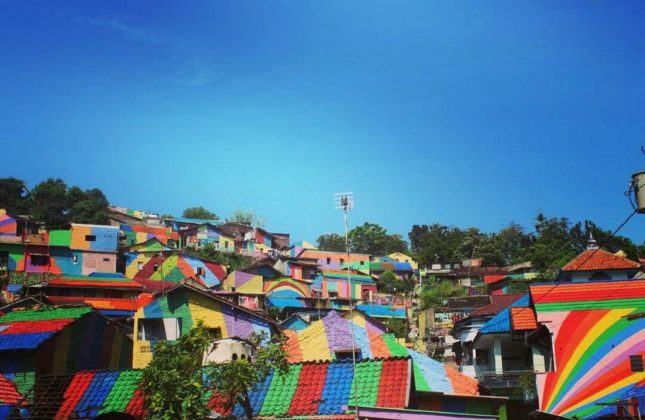 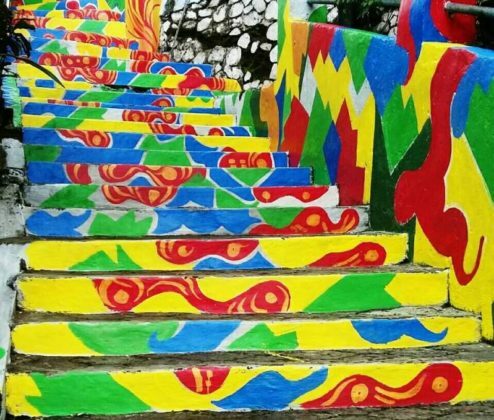 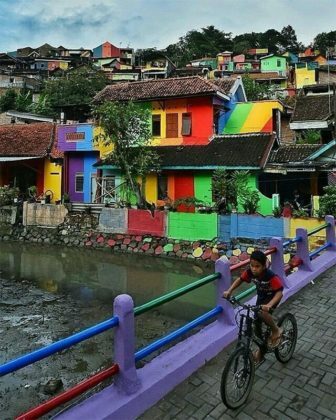 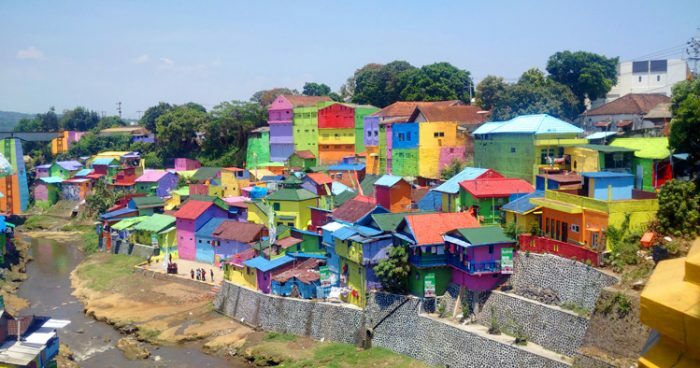 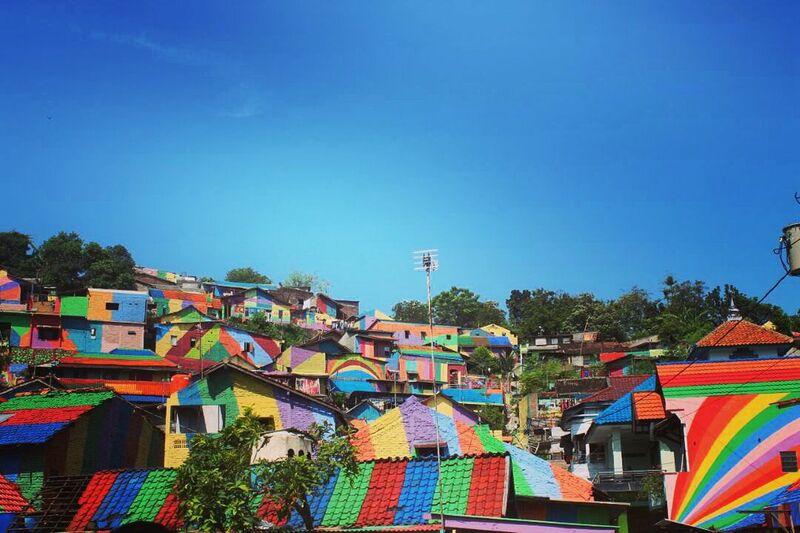 232 homes in Lampung Pelangi Village after the project has truly become a huge “artworks”, brightly colored like the rainbow. In addition to covering the mural houses, local people also actively clean, clean the river flowing through the village. 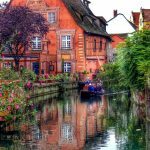 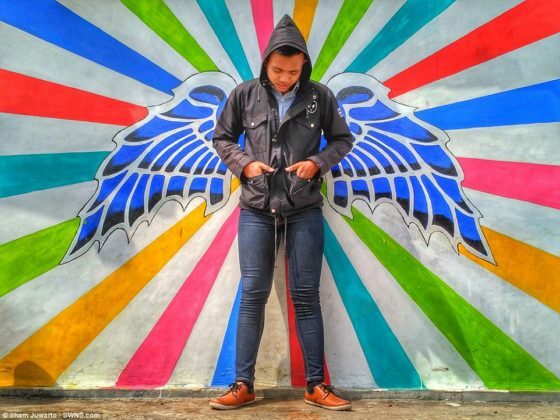 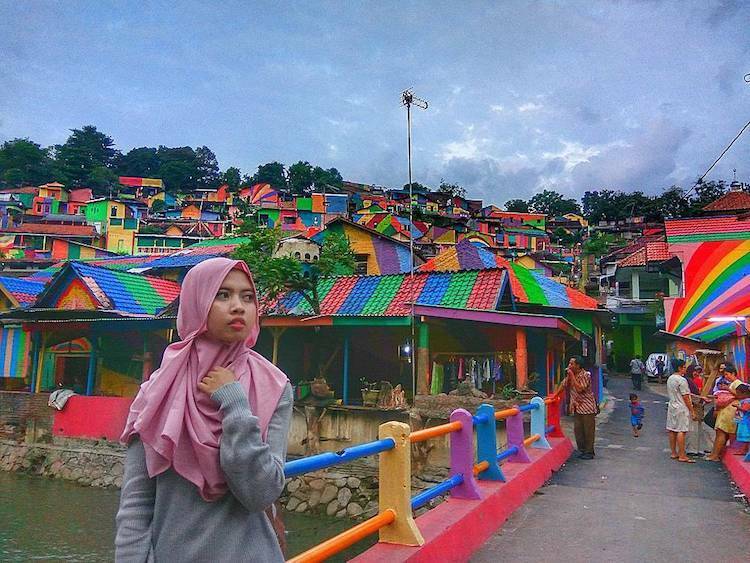 The photos of the village with familiar scenes like street rainbow colors appeared on Instagram with #kampungpelangi more and more popular. 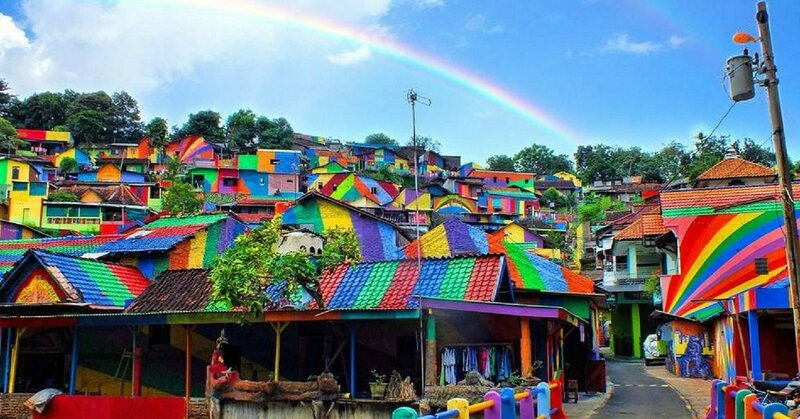 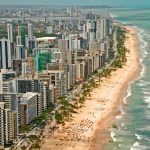 More tourists everywhere come to visit, so the service of selling souvenirs, indigenous food appear in more places, bringing economic benefits to local people. 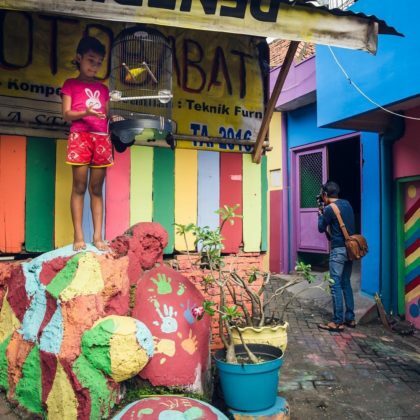 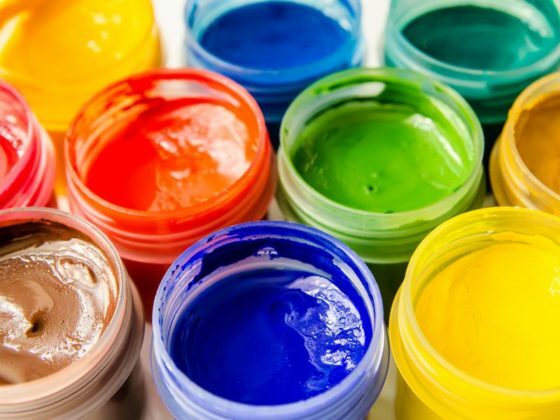 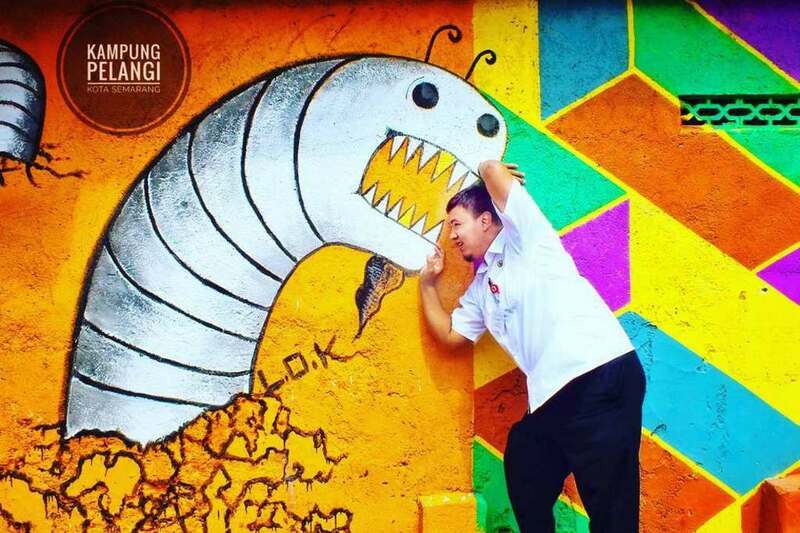 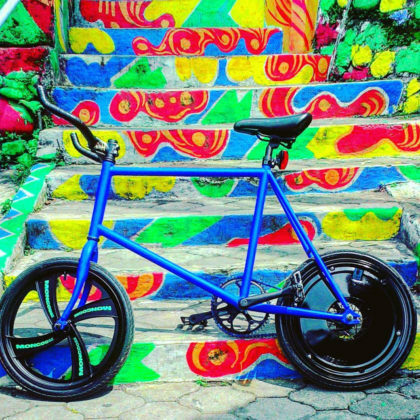 Kampung Pelangi’s bright and colorful future is due to the power of the arts and the community. 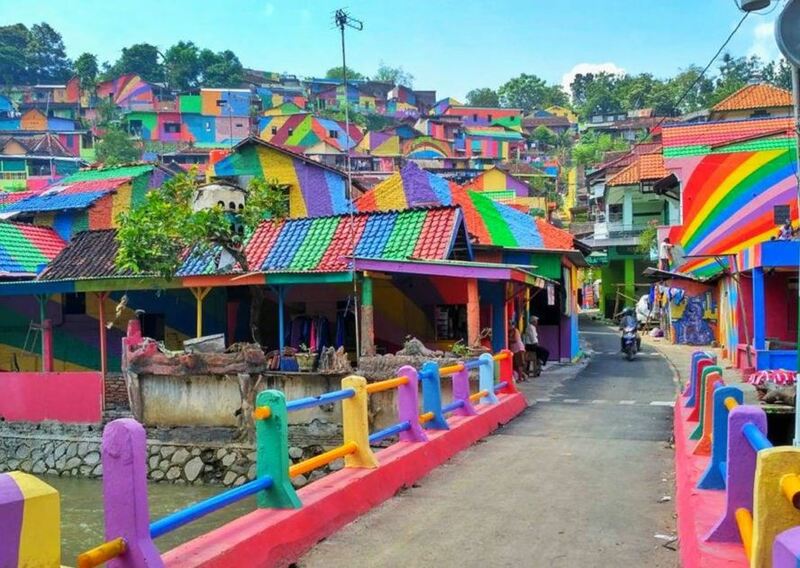 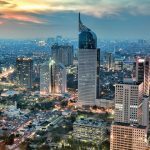 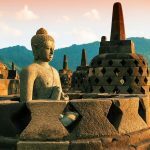 Read more Indonesia travel guide at here.